Rahul Dravid is a former Indian cricketer and captain, widely regarded as one of the greatest batsmen in the history of cricket. He born in a Marathi family and he started playing cricket at the age of 12 and later represented the state team at the under-15, under-17 and under-19 levels. Hailed as “The Wall”, Dravid was named one of the best five cricketers of the year by Wisden Cricketers Almanack in 2000 and received the Player of the Year and the Test Player of the Year awards at the inaugural ICC awards ceremony in 2004. 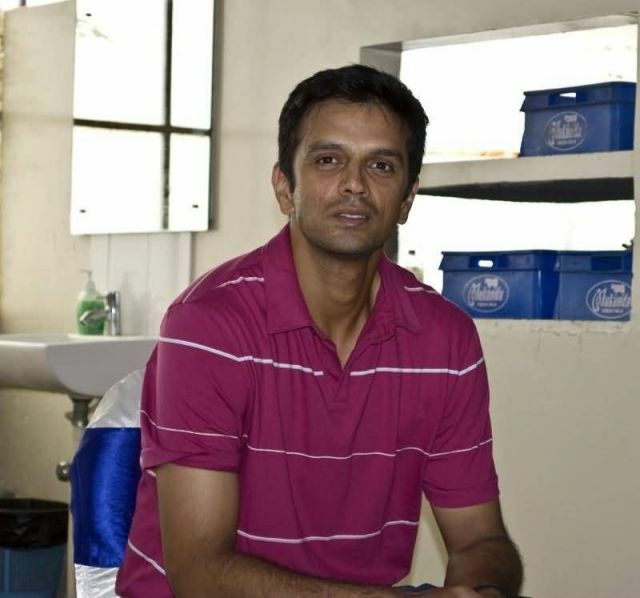 As of October 2012, Dravid is the fourth-highest run scorer in Test cricket, after Sachin Tendulkar, Ricky Ponting and Jacques Kallis and is only the second Indian cricketer, after Tendulkar to score 10,000 runs both in Tests and in ODIs. In 2006, it was announced that he would remain captain of the Indian team up to the 2007 World Cup in the West Indies. India won 8 out of 25 test matches under his captaincy. However after the series against England, he stepped down as the Indian captain due to personal reasons. MS Dhoni took over as ODI captain, whereas Anil Kumble replaced him in test matches. Rahul Dravid, along with Glenn McGrath were honoured during the seventh annual Bradman Awards function in Sydney on 1 November 2012. Dravid has also been honoured with the Padma Bhushan award, India’s third highest civilian award.